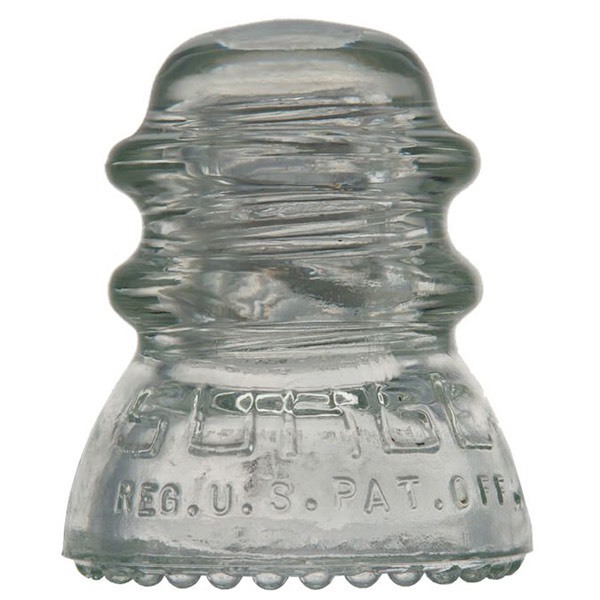 Notes: Hemingray made these "SURGE" insulators for Babson Bros. Company. Production years and more information on Surge can be found in this article. (FS) SURGE/REG. U.S. PAT. OFF. (RS) BABSON BROS.CO./CHICAGO U.S.A.
(FS) SURGE/T.M. REQ. PAT. PEND (Note spelling) (RS) BABSON BROS.CO./CHICAGO U.S.A.